Today was fashion day. After Roberto Capucci and a lampredotto panino (Mercato del Porcellino) sandwich (a slightly strange interlude), we hit the ControModa show at Palazzo Strozzi. 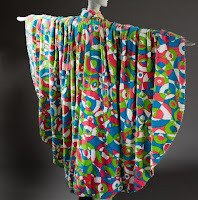 This show is dedicated to fashion and, in particular, items from the Los Angeles County Museum of Art. It was interesting and gave us a new appreciation of fashion if not a basic schooling in who’s who. Particularly interesting was the contribution of the Japanese to fashion, especially in pushing the boundaries of Italian/French sensibilities. 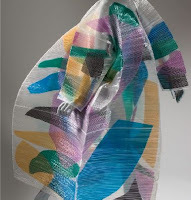 Shown above are a Pucci cape (“sponge” cape) and a Miyake woman’s coat.